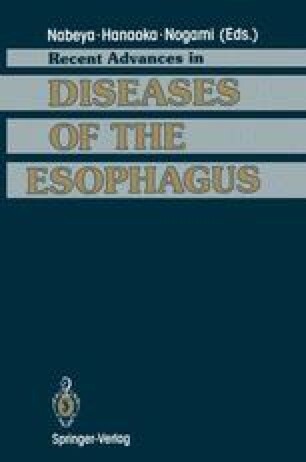 Although esophageal achalasia is a motor disorder, it is a fact that achalasia is associated with obvious structual change such as the absence of ganglion cell, atrophy or hypertrophy of the muscular layers . Even at the operation, in some cases of esophageal achalasia, esophageal wall thickening can be recognized. This esophageal wall thickening was evaluated by endoscopic ultrasonograph (EUS) preoperatively. This study was done to document the result with the relations between the EUS findings and x-ray findings, and manometric measurements of esophageal pressure.